Another tonal release for the popular Flyknit silhouette. The Nike Flyknit Racer, a stalwart of the Flyknit line that's long outlasted the Trainer since its debut in 2012, will keep its momentum going in October with the release of this new colorway. 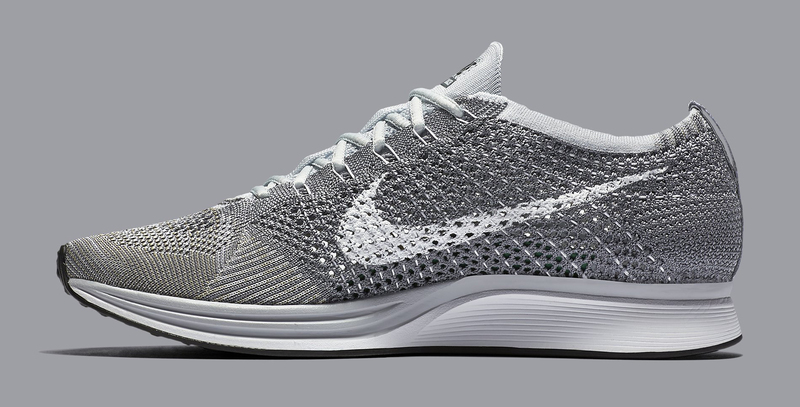 The "Pure Platinum" Flyknit Racer is scheduled to release on Oct. 14. The shoe mixes pure platinum, cool grey, white, and olive on its upper in an array that's been used on the shoe before with different colors. Most notable here is the strip on back, which has sort of a digi camo look to it. 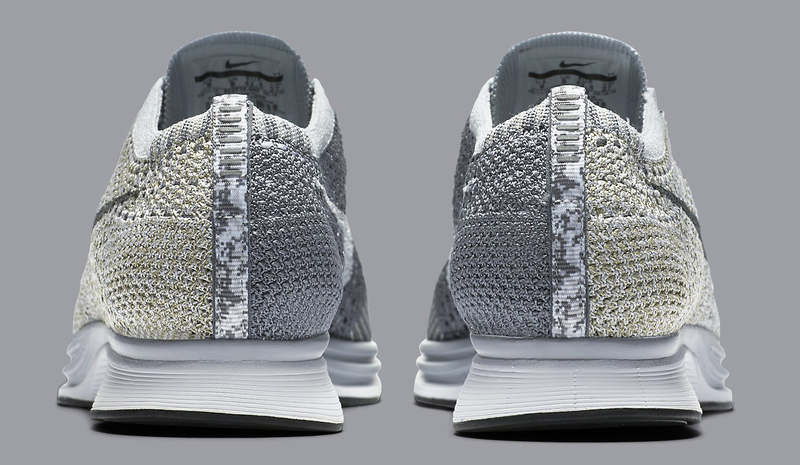 This Nike Flyknit Racer should be readily available, and will release at big box stores like Foot Locker. 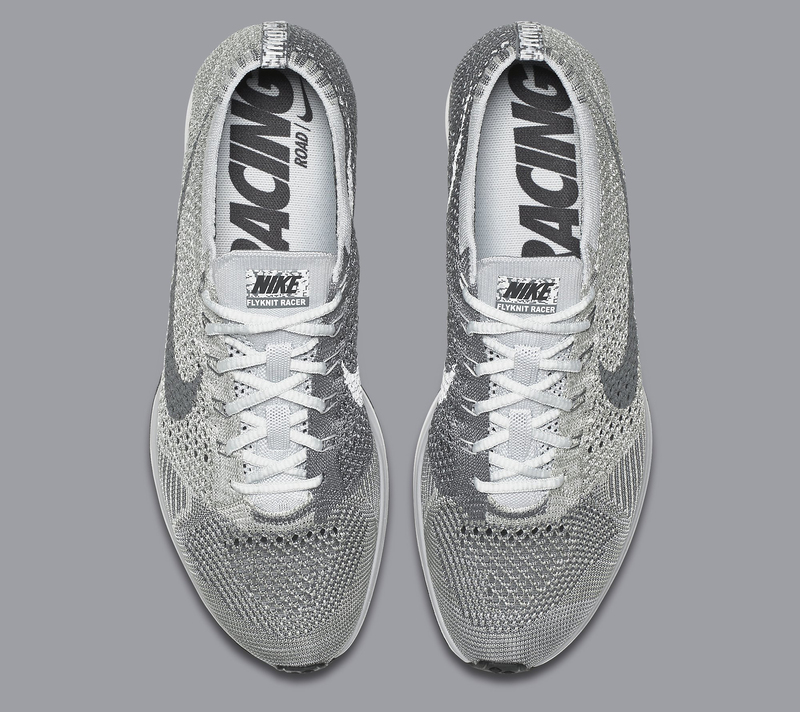 Nike Flyknit Racer "Pure Platinum"